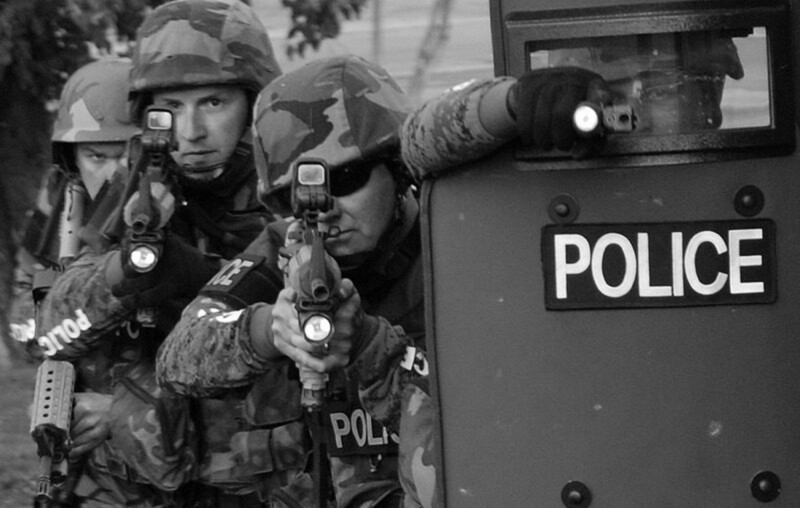 The Police State Isn’t Coming – It’s Here! Some people think America is slowly degenerating into a police state but most libertarians know we already got there years ago; today it’s only getting worse. Anyone still living in denial unwilling to confront reality need only go to a website called CopBlock and read a few articles. The website was created in 2010 by libertarians Pete Eyre and Ademo Freeman who had experienced the abuse, harassment and arrogant bullying by uniformed “peace officers” across the country. CopBlock is a decentralized organization where people from everywhere can post articles and videos of violent, officious, overzealous agents of the law confronting both criminals and non-criminals alike. In the police state everyone is at risk from the very people supposedly dedicated to protecting them. 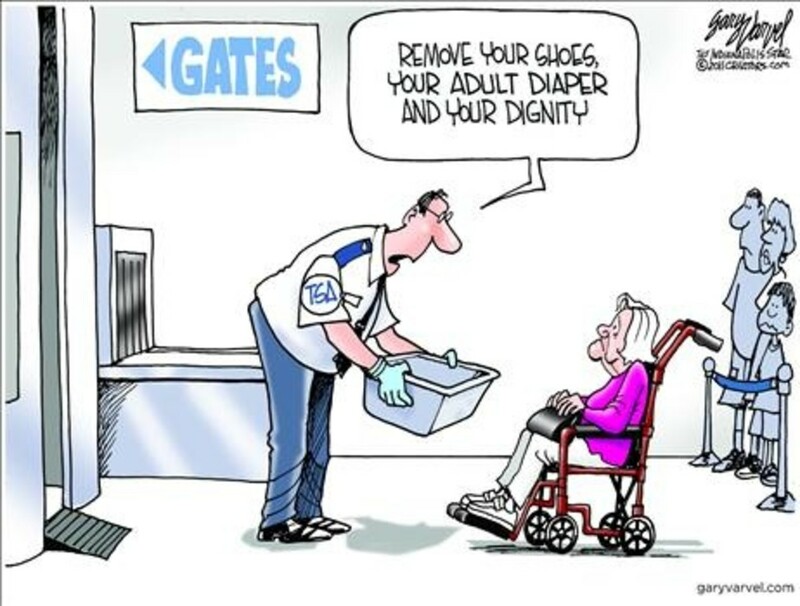 The old saying “If you’ve done nothing wrong you have nothing to worry about” no longer applies. If this isn’t convincing CopWatch should be. CopWatch isn’t a website but a collection of independent local sites stretching across the US and Canada. 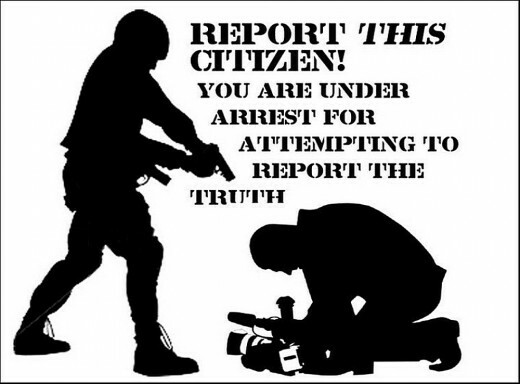 The basic goal of these groups is filming the police while they interact with civilians in public in the hopes that their presence, and their recordings, will keep cops honest and on their best behavior, which means obeying the very laws that they themselves enforce. Even before these two groups were founded veteran news reporter and photojournalist Carlos Miller was on assignment in 2007 when Miami police arrested him for publically filming them while performing their public duties on public property. He later launched a blog, Photography is Not a Crime (PINAC), which has since become a major news site. Those still unconvinced they’re living in a police state can visit any number of Facebook pages like Police State, Police State Daily, Police State USA or The United Police State of America. The actual numbers of criminals and those who have simply engaged in victimless “non-crimes” add up to more than 2.3 million people. 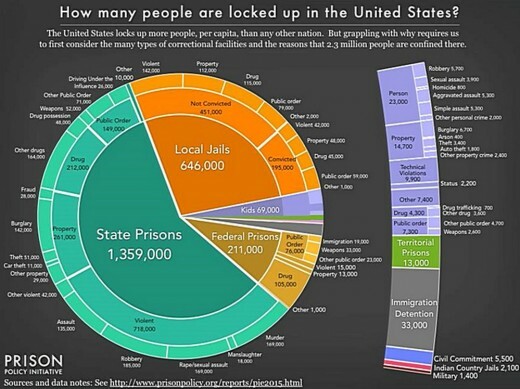 It’s all spelled out graphically in a pie chart at PrisonPolicy.org. The whole bloated American “criminal justice” industry consists of a gulag of 1,719 state prisons, 102 federal prisons, 942 juvenile correctional facilities, 3,283 local jails, 79 Indian Country jails as well as military prisons, immigration detention facilities, civil commitment centers, and prisons in US territories. But the problem is even worse than just the 2.3 million figure, caused by what Prison Policy calls an “Enormous Churn” of people in and out of the nation’s lockups. This endless “churn” of America’s citizens creates a “far larger universe of people whose lives are affected by the criminal justice system.” Their figures, covering both prisons and jails, show “Every year, 636,000 people walk out of prison gates, but people go to jail over 11 million times each year. In short, while 2.3 million men, women and juveniles are being held long term in prisons and related cage farms another 11 million have spent time in all of the nation’s various local jails. There’s a third and perhaps even more frightening means of gauging the reality of today’s police state. Hillary Clinton, speaking in the wake of the gay nightclub mass shooting in Orlando, bizarrely attacked AR-15 style rifles by famously – or infamously – declaring “weapons of war have no place on our streets.” Her declaration was bizarre not only because the AR-15 is a sporting rifle and not a “weapon of war” but because she wants to be chief executive of the very institution responsible for putting more weapons of war on our streets than any other entity in the world, the US government. 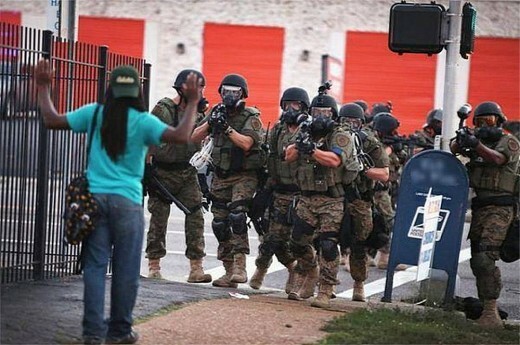 From Wikipedia: “Militarization of police involves the use of military equipment and tactics by law enforcement officers. This includes the use of armored personnel carriers, assault rifles, submachine guns, flashbang grenades, grenade launchers, sniper rifles, and Special Weapons and Tactics (SWAT) teams” along with public surveillance, “intelligence agency-style information gathering aimed at the public and political activists,” and a more aggressive, proactive style of law enforcement. “Back the Blue” conservative types will insist that the vast majority of police officers are honest, and they would be right if it wasn’t for “The Blue Wall of Silence.” This is an unspoken creed among cops that no cop may report the cruel, corrupt or illegal activities of a fellow cop, which ultimately makes all those “good cops” no better than the bad cops. They will further claim that this militarization of our police is in direct response to the militarization of our criminals. But which is cause and which is effect in this constantly ongoing escalation? Couldn’t it be just as true that terrorists and other violent crazies have taken to using helmets, Kevlar vests and fully automatic weapons of war because they know that the police have similarly ramped up? That the fifty-year-and-counting War Against Some Drugs is the single greatest driver of our police state – followed only by the more recent violent blowback against years of violent CIA machinations in the Middle East that we now call the War on Terror – is recognized not only by libertarians but by virtually every thinking person across the ideological spectrum. The Daily Mail reported just last month that the Norwegian government has been collecting massive amounts of data on their citizens and developing algorisms from the data. 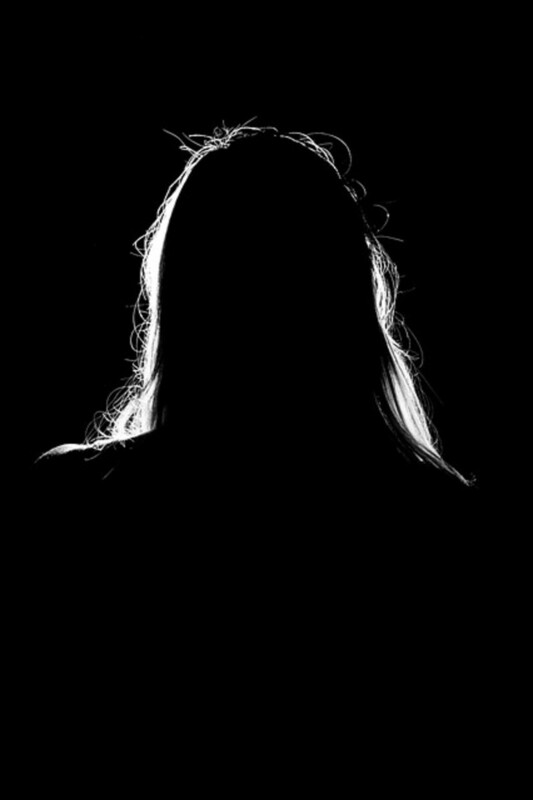 The hope is to use the data from the files of children and their parents to see if they can predict from the circumstances of their birth whether a child will commit a crime before their 18th birthday. Not only do we need to fear the movie Minority Report and TV’s “Person of Interest” but also Aldous Huxley’s classic dystopian novel Brave New World. Every police state can, by definition, be traced back to the people who run the state. Virtually everything that should be illegal in a civilized society has already been recognized centuries ago: crimes by people against people. These laws have been in place since the very beginning of humanity. 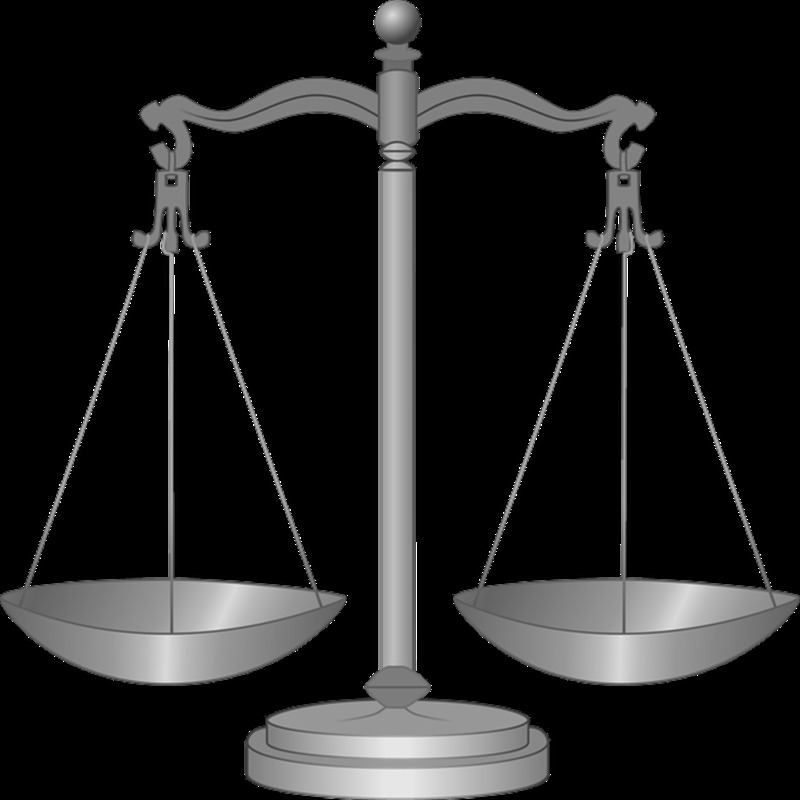 Virtually every law written since then has been manufactured by power and wealth driven politicians, lawyers, corporatists and banksters for the purpose of gaining more power and wealth through controlling virtually every aspect of every person’s life. There is no such thing as “crimes against humanity,” or “crimes against society” or “crimes against the earth” or least of all “crimes against the state.” These are all concepts and there is no such thing in reality as crimes against concepts; all real crimes are people’s crimes against people. Realistic: Make the libertarian non-aggression principle the fundamental basis of all law. Decriminalize every human activity that has nothing to do with the initiation of physical force, intimidation or fraud by one person or group against another person or group. In short, abolish all victimless crimes on the simple basis that if there is no victim there can be no crime. Idealistic: Voluntaryist libertarians will take it a step further by abolishing “governments” and creating a post-statist laissez-faire free society in which humane forms of “governance” will hold sway. Right now the biggest problem with the police state are the people who believe that “it’s coming” but isn’t already here and firmly entrenched simply because it hasn’t ruined their own lives yet. These people need to wake up and smell the pepper spray. Police State today, Martial Law tomorrow, Totalitarianism next. Good reminder. We are there!